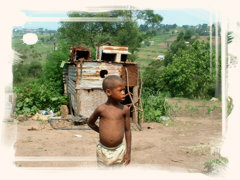 There are more than 10,000 children living on the streets of South Africa. 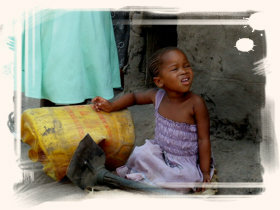 The reason why these children leave home are complex and are usually the result of a combination of factors such as poverty, neglect, abuse, community violence, breakdown of family life and cultural values due to rapid urbanization, disempowered single parents increased by migrant labour, substance abuse and alcoholism and lack of community resources such as adequate schooling and recreational facilities. For some in rural areas they think that life in the city will be exciting and that then streets will be paved with gold. Once they arrive they find another story. In addition, South Africa now has the fastest increase of HIV infection in Africa. The likelihood of the increasing number of children being orphaned because of AIDS and the resulting skewing of the age distribution of the population could well result in an increasing number of children ending up on the streets. On the streets children are vulnerable to abuse and exploitation by the general public and harassment by the police. They are often regarded as part of the grime that needs to be swept off the streets and their needs and vulnerabilities as children forgotten. This serves to further alienate the children from the broader community and to exacerbate their distrust of adults. Experience has shown that the longer children live on the streets the harder it is to address the problems at home that contributed to them leaving. For many children life on the streets exposes them to experience that make it harder and harder for them to face their families again such as sexual abuse, drug addiction and contracting HIV/AIDS.